Startup Monday is ABCey’s weekly post that features some of the best and brightest companies in the Bay Area. They are often companies that we have our eye on, or have worked with in the past & would like to share with friends and followers of ABCey Events! 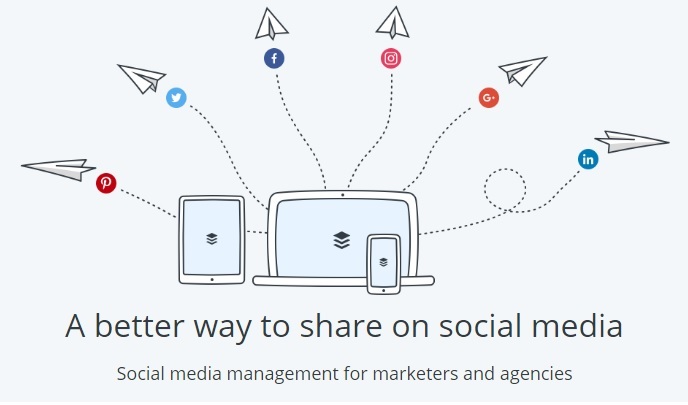 In today’s Startup Monday, we highlight Buffer, a smarter way to share on social media! Being an event professional can be overwhelming at times. To top it all off, you have to worry about social media marketing? The struggle is real! The downside of posting on social media is that you can’t be on all the time, so being able to schedule your posts can be a huge help. Well, what better way than to do all that than with Buffer? 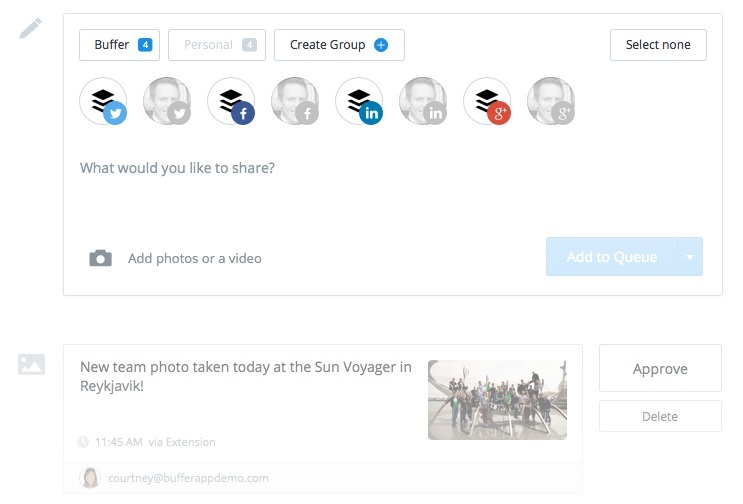 Buffer helps to manage your social media all on one platform by scheduling posts and is great for teams! This is the most important feature out of everything that Buffer has to offer. Ease your mind by scheduling your social media posts on Facebook, Twitter, Linkedin, Pinterest, Instagram, and Google Plus! 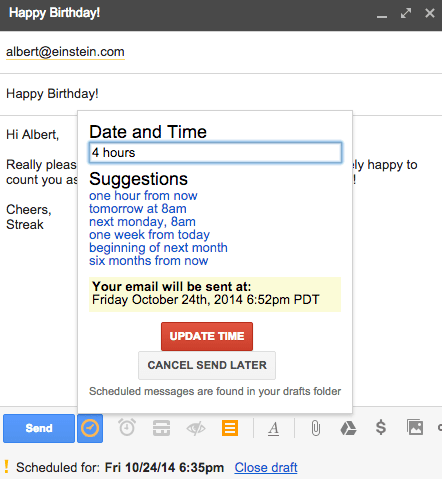 You can also make sure your team shares posts during specific times to drive the most traffic to your website. Stay on schedule and keep those posts coming! Avoid posting at the same time on social media with other team members! You definitely don’t want to flood your followers with a bunch of spam. Instead, collaborate smoothly and effortlessly! 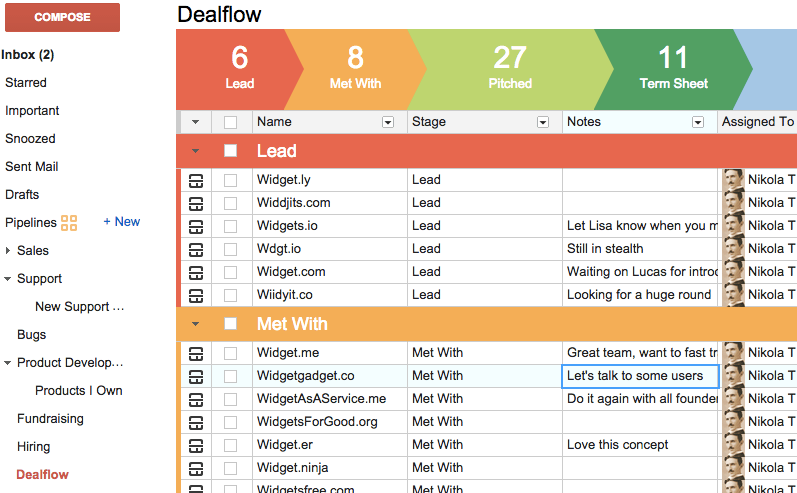 You’ll be able to see what your team members have lined up and can easily manage collaborations. Get the stats you need to track how you’re doing! 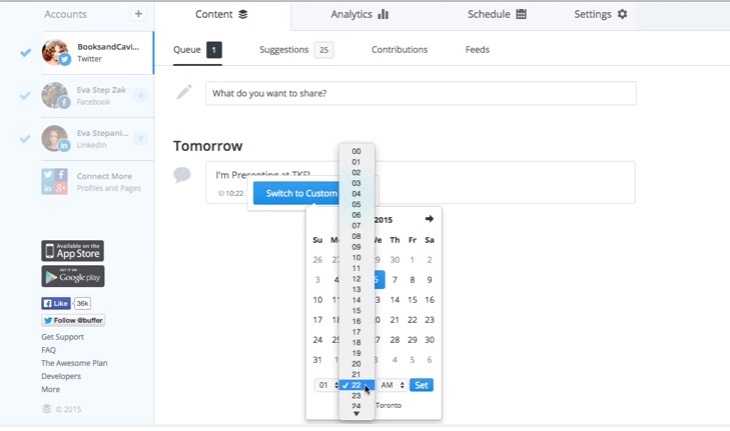 Buffer helps you to easily visualize your social media growth. Through this, you’ll be able to track reader engagement and trends. This will not only let you know what your readers like, but also helps you to get to know your readers better. There are over 2,500+ businesses using this web and mobile app already! 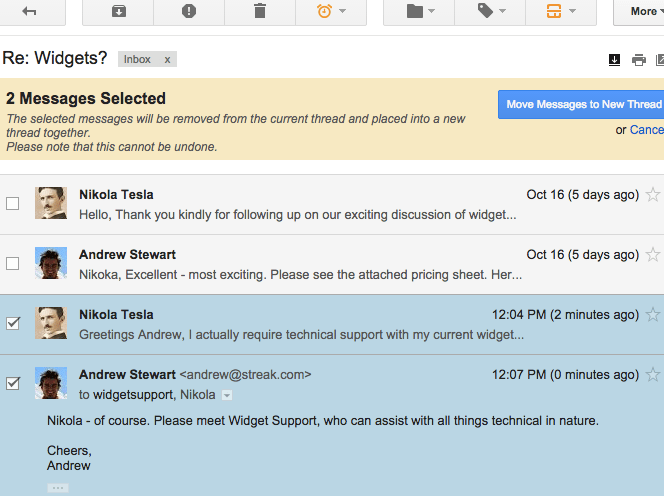 Will you be using Buffer next? Let us know in the comments below or on Facebook and Twitter! Startup Monday is ABCey’s weekly post that features some of the best and brightest companies in the Bay Area. They are often companies that we have our eye on, or have worked with in the past & would like to share with friends and followers of ABCey Events! 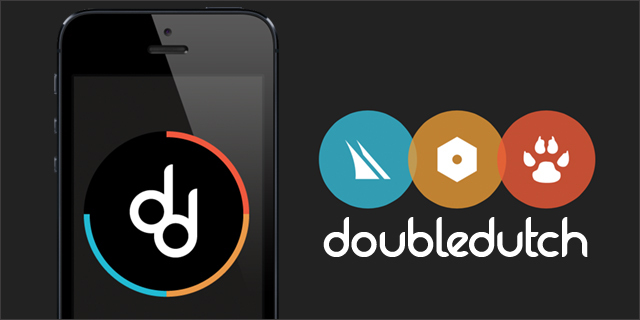 In today’s Startup Monday, we highlight a live engagement platform and mobile app: DoubleDutch! As event professionals, we always try to create better experiences for our event attendees. It’s also important we have right tools for the event to run smoothly. Afterward, we really want to learn from the event, so that our next one is even better! So, how do we manage all this information? With DoubleDutch, you’re able to do all those things and more! This company’s main product is their live engagement platform, which helps everyone from sponsors, attendees, planners, exhibitors, and marketers! Under this platform, there are 5 different sections: Studio, Event App, Lead Manager, Performance Manager, and Exhibitor Portal. All of these applications help to improve the event process and the overall success of the event! First, customize your app and plan your event with DoubleDutch’s Studio! After you create the perfect app that matches your brand, use Studio to send out event invites to promote your app and event. In addition, manage your event content including: agendas, interactive maps, event information, user profiles, and more. And thats not all! You can help your sponsors advertise their posts, achievements, and activity to your guests! Having an app for your event will be sure to impress attendees, but it’s also great for event professionals and will make your guests’ event experience so much easier! For event producers, the DoubleDutch Event app lets you give out attendee lists, surveys, polls, Q&A’s, direct messages as well as set up gaming aspects and forums. Also, attendees can create their agendas, and see profiles of sponsors, exhibitors, and speakers! Learn what worked and what didn’t with their Performance Manager! During the event, you can easily see how the event is going, what your guests like the most, poll/survey results, and more. Now you have tons of info that tells you how your event went and valuable insight for the next ones! Your event exhibitors and sponsors will love Double Dutch too! Because the Exhibitor Portal lets exhibitors contact and understand their attendees, they are set to have a better booth and business! From customizing exhibitor’s app profiles and scheduling meetings to managing staff and giving offers to guests, there is nothing this app doesn’t do! Finally, their platform has a Lead Management application to help you market your event! It looks at attendees’ actions, interests, and engagement, so that you can make informed decisions. Also, your attendees will love when DoubleDutch gives them recommendations on connections/sessions based on their activity at an event! Try their demo and see how DoubleDutch can improve your events! Are you currently using a different registration system? DoubleDutch has the answer! In addition to their platform, this company has added integration features that allow you to combine schedules, profiles, etc. from more than 100 other registration systems! They make it that easy! 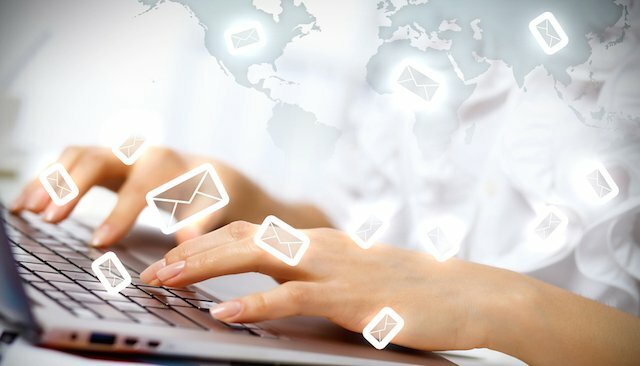 You can also integrate with Salesforce and Marketo to have the best marketing campaigns and CRM services! Now you can use their platform with the info and work you already have. There are also security measures that make sure your data and event is safe! Are you planning to use DoubleDutch? Let us know in the comments below or on Facebook and Twitter! Startup Monday is ABCey’s weekly post that features some of the best and brightest companies in the Bay Area. They are often companies that we have our eye on, or have worked with in the past & would like to share with friends and followers of ABCey Events! 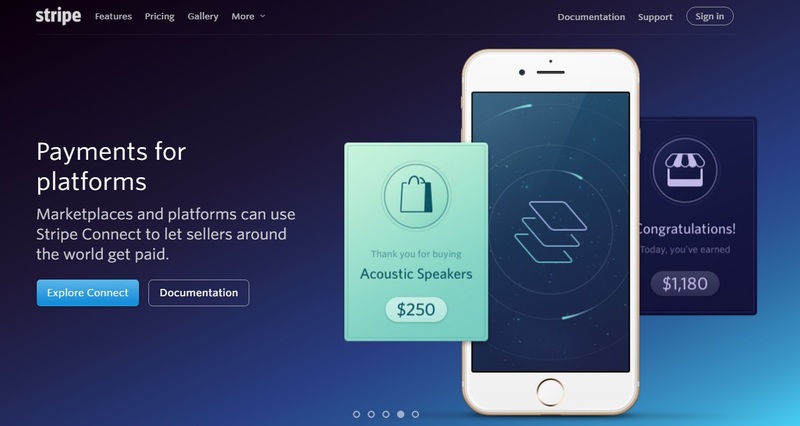 In today’s Startup Monday, we highlight Stripe, a better way to accept payments online and in mobile apps! Trying to sell products or services online through your website? That’s a bit tricky since you’ll need a payment system and a secure transaction. With Stripe, you can get all those benefits by incorporating their API, which is pretty much just pre-written code! Businesses can now easily integrate a payment system into their website or app. Plus, there’s head-ache free security that will leave your mind at ease. Many companies such as Lyft, Postmates, Instacart and thousands of other mobile apps are already using Stripe. 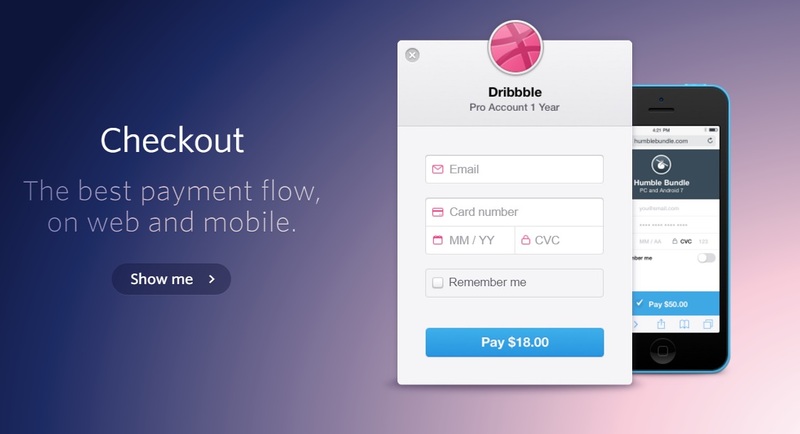 Designing payment forms can be a hassle. So make good use of Stripe’s checkout! The checkout system includes several languages including English, French, Spanish, Chinese and much more! It’s great that it has several languages to help people, but is it limited to certain types of cards? Well…it depends on the person’s preference. Customers are able to use either their debit or credit cards to make their purchases! To make it even easier, one tap payments for faster and more efficient checkouts. Connect with people around the world. You’ll be able to send payments across the country. This, especially, makes it easier to conduct business overseas. So just sign away that contract and let the code do the rest. There’s even an automatic conversion rate for currency! Put your trust in the security and don’t worry! 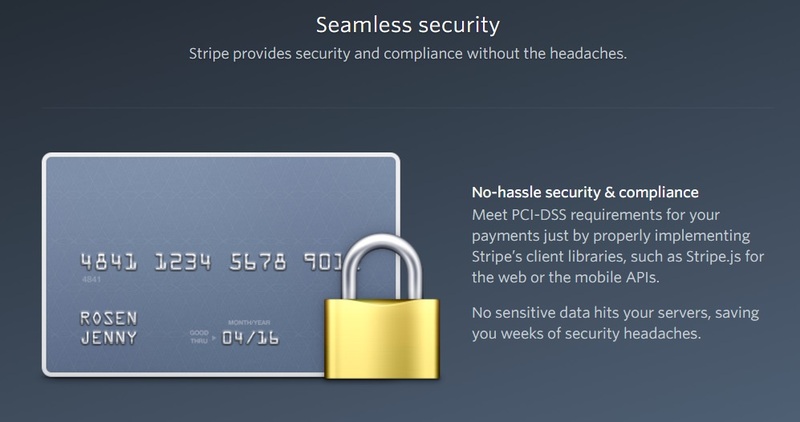 Stripe has a two step verification process to protect accounts as well as certified PCI level 1, meaning that there are over 6 million Visa and/or Master card transactions per year. With that many transactions, you aren’t bound to go wrong! We love that Stripe lets you start accepting payments shortly after setup and doesn’t require a merchant account. As event planners, Stripe seems like a time-saving asnd convenient option for us and other businesses that want to get started right away. Will you be trying Stripe? Let us know in the comments below or on Facebook and on Twitter! Startup Monday is ABCey’s weekly post that features some of the best and brightest companies in the Bay Area. They are often companies that we have our eye on, or have worked with in the past & would like to share with friends and followers of ABCey Events! 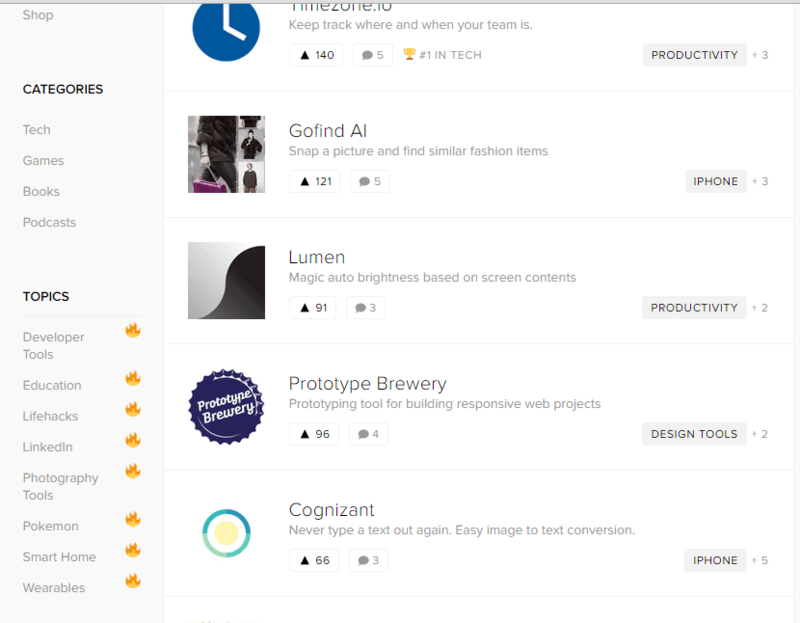 In today’s Startup Monday, we highlight Product Hunt, a new way to discover tech! Are you a tech junkie? This can be trying to discover new technologies most days and seeing what other new products come out the next! These products can be anything from books, podcasts, and games. So, if that sounds like you, ABCey Events has found the website to cater to your tech needs. Instead of searching endlessly on the web, meet the new social media of tech, Product Hunt! This website and app gives you the latest, up and coming tech just for you. We know how busy event profs can get, so save time with thanks to this great company! Product Hunt helps you discover new tech content. And soon it will be your next favorite thing! Specifically, the best part of this is that there are upvote buttons that help push tech to the top of the list. This makes it easier for you to find the most popular tech. Now, event profs easily can see which tech will be the next big thing! 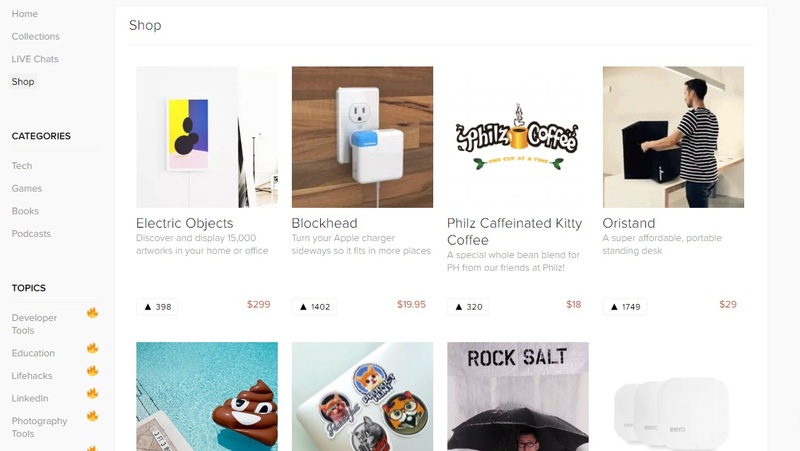 If you’re ready for loads of tech finds, check out the collections section of Product Hunt. These collections are a heap of grouped products that you love and want to share! With this great feature, you can see what others have collected or start a collection yourself! 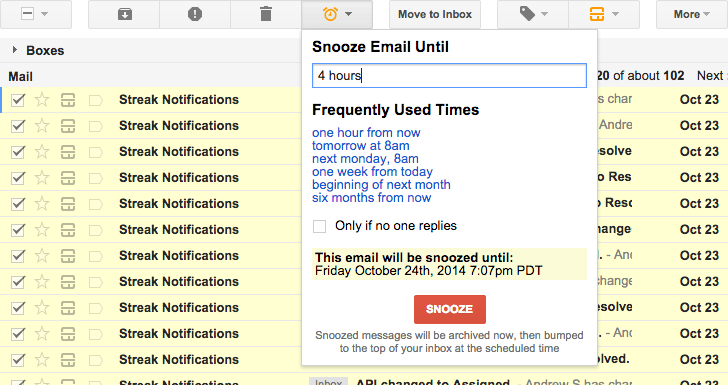 More of what Product Hunt has to include! Plus, Product Hunt is more social than you think. Product Hunt encourages live chats, shopping, and meetups. So get out there! What are you waiting for? This is a great opportunity to meet new people with the same interests as you and explore new material too! 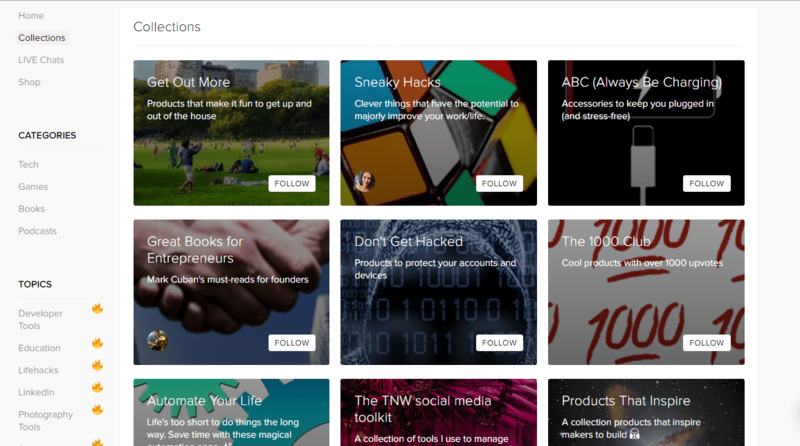 Moreover, Product Hunt provides their own blogs, tips and podcasts. Stay tuned, because you don’t want to miss out! So if you plan to use Product Hunt to discover new tech, let us know in the comments below or on Facebook and Twitter! Startup Monday: Operator, Message to Shop! Who doesn’t love online shopping? 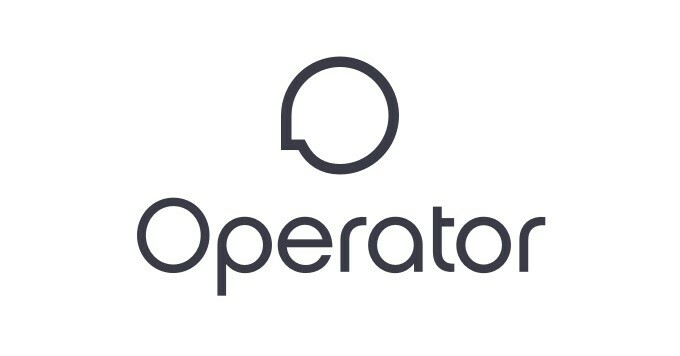 At ABCey, we’re loving Operator, a messaging app that helps you shop created by Uber cofounder Garrett Camp and former Zynga exec Robin Chan! It combines the best parts of brick-and-mortar and online shopping. This app gives you the expert personal service you’d expect from an in-store employee. But, it doesn’t lock you into shopping at just one physical location. 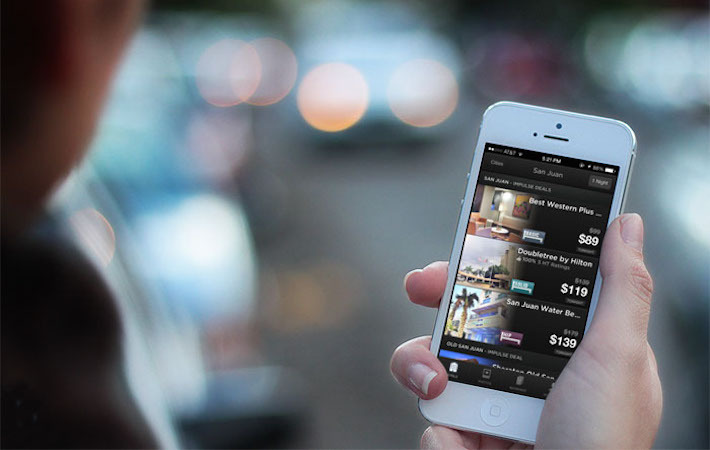 Operator also offers the convenience of shopping from anywhere, anytime via your phone. Operator can even handle the heavy research you might want to skip or not be qualified to do. Afterwards, the annoying checkout experience is handled as well. It all starts with a message. Then, you’re directly connected you to a network of shopping expertise that will find the best products. You can request almost anything and best of all, the service is free. Operator will take in mind price ranges, problem-related solutions, and even recommendations? Well, that’s not what we usually hear nowadays when shopping online. The closest we get to getting recommendations when shopping alone online is through the reviews. After deciding what you want, Operator also takes care of the billing process with no extra charges. Easily track your packages and ensure that your packages arrive! Also, if you need to return or exchange anything, message the Operator and they’ll be there to help. Start shopping anywhere and anytime! If you’re planning on using this convenient shopping app, let us know in the comments below or on Facebook and Twitter. Out with the old and in with the new! To start the new year off right, we want to help you lead a more productive life by tackling one unproductive nuisance: clutter. Our living and working spaces are constantly full of so much junk and clutter. We tend to accumulate more stuff than we need, buying more and getting rid of less. Oftentimes, we either let the clutter continue to pile up or we resort to donating everything. Figuring out the how and where to sell our items is such a hassle and with our busy lives, we just don’t have the time. Today, we’re highlighting Gone, a startup that will resale, recycle and upcycle all of your old junk. Gone is a concierge service that makes selling your unwanted items a whole lot easier. They manage all the logistics of the entire selling process so that you don’t have to and they unsure that all of your items get sold for the best possible value. 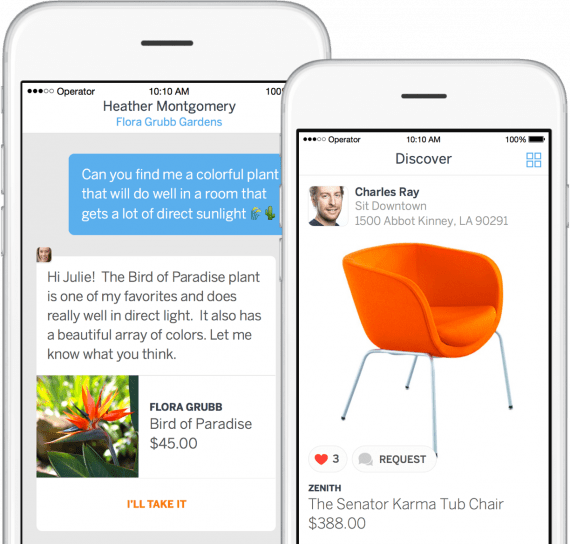 Once you decide what items you wish to sell, you can either upload a pic into the app or through a text message. Gone will then pick up the items at the location of your choice. After inspecting the items, Gone will set a selling price and list it for sale within 1-5 business days. In order to get the best bang for your buck, they analyze transactions from around the world in order to determine the proper market prices. The marketplace that they use to sell the items depends on the demand and average price for said item. After your items are packaged, Gone will contact buyer, negotiate a deal and ship your items. You are able to monitor this entire process within the app! Gone makes the payment process easy by allowing you to choose from several options: check, PayPal or Amazon Gift Card. After they deduct costs for preparing items for sale (inspection, pricing, postage and packing materials), they charge a commission of 7%-15% depending on the demand of the item. You’ll then receive payment within one to several weeks of sale. If, for whatever reason, your items don’t sell within 90 days, they’ll either send the items back to you or extend the selling period for another 90 days. When needed, Gone can arrange a tax write-off for donations and even recycled items. We love how Gone has revolutionized online selling, helping to make your life easier, clutter-free, and more productive. Thinking about using this service the next time you have items that need to be sold? Let us know in the comments below or on Facebook and Twitter!